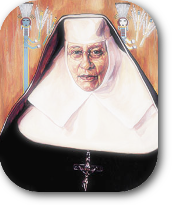 St. Katherine Drexel Regional Fraternity Regional Spiritual Assistant St. Francis of Assisi Friary 1901 Prior Road Wilmington, Delaware 19809 tel: (302) 798-1454 fax: (302) 798-3360 website: skdsfo email: pppgusa@gmail.com August 2016 Dear Sisters and Brothers in St. Francis, The Lord give you his peace! For centuries the Catholic Christian world has celebrated the Assumption of the Blessed Virgin Mary body and soul into heaven. This crowning moment in Her life was never really disputed by most Christians before the rise of Protestantism. As time moves on, the world and its values often clouds the vision of our minds and hearts. Most recently I have had the privilege of attending a talk given by Father Michael O.F.M. Conv. Parochial Vicar of St. Peter Church in Point Pleasant. It was held in Neptune at the Upper Room. The talk was entitled “ A Pilgrimage with Francis and Clare”. It was so refreshing to hear those events which took place which lead up to the sainthood of Francis and Clare. There was so much I didn’t know about the history of Assisi at the time of Francis and Clare or could I humbly say I forgot. Remaining Franciscan in a Presidential Election Year! The words are brutal; the attitude – ugly. Accusations are made, stories true, half true or completely untrue are repeated and repeated and repeated. It must be a Presidential election year! What a great time to be Franciscan!! → Continue reading: Remaining Franciscan in a Presidential Election Year!